In 1886, in the midst of his heartache and pain, a faint light of hope entered Everard's life. He had left his family - his mother, brother and sisters - and left his homeland of Ireland. He sailed to Australia full of hope of a new and fulfilling life, but was met instead with heartache when neither his work prospects nor financial security flourished. 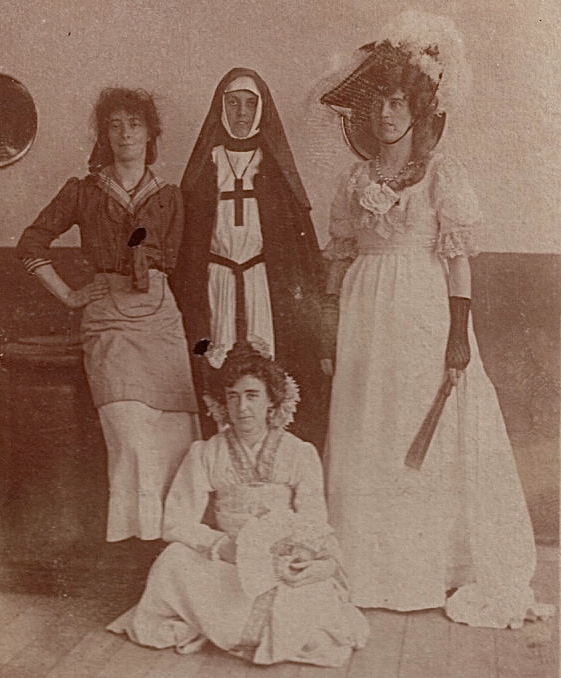 The new hope in his life came in the form of a beautiful young woman, the red-headed Edith Veysey Macknight, seen above, right, with her brothers and sisters. Edie was still a school girl when she and Everard first met, from which time he was head over heels. The age difference between them, seventeen years, seemed not to discourage him, and from the first he turned his writing to new love, weaving Irish word spells around her heart. To wail for things you cannot reach. To foolishly lose the bloom on the peach? Forsooth you are blind with useless tears. While the floods of today fill the running stream. You have sense not to ask for impossible things. A cheerful front let us ever show. To bear you to happiness, rest and peace. Edie Macknight was one of seven children of Alexander Macknight and Mary Anne Moran. Alexander was born on Christmas Day, 1841 and worked in Liverpool, his place of birth, as an underwriter and marine insurance broker and was involved in the shipment of cattle and sheep and chilled meat to Europe. Like Everard, Edie arrived in Australia in 1881, having sailed from Liverpool with her parents and siblings. The family later took up residence at "Wavetheee", 65 Kurabba Road, Neutral Bay. The house was built in 1885 and during Alexander Macknight's time as Mayor of North Sydney in 1893, the house was a venue for a christmas fete to raise funds for St Augustine's Church of England, the Macknight family church. A clever student, Edie attended newly opened Abbotsleigh school in Sydney and matriculated well enough in 1888 to enter Sydney University. A letter of congratulations from a family friend in Birmingham, England also makes reference to the money she was earning by assisting Everard with editing Men of Mark. I was much pleased to receive your dear letter of the 12th October and to hear of your great success in passing the University Examinations for which I offer you my heartiest congratulations. Your further success in the literary work is also most gratifying and I do hope it will continue, for a weekly income of three to four pounds for a young lady of your age is certainly more than pocket money and I don't wonder that your brothers make you their banker...Accept my best wishes for the new year and don't forget old friends. Instead of going on to university, Edith Macknight chose to marry the dashing and poetic lawman from Ireland. Of love returned - My fate was sped. With thoughts of her my soul is fed. She and Everard announced their engagement in 1890, much to the delight of Everard's brother George, who had visited Sydney five years earlier before Edie was in the picture. I have just heard from my brother news of his engagement to you and I am so glad he is about to settle and have a home of his own. This I know he has long been waiting for. I have heard a great deal of you from Everard for a length of time so that I do not feel as much a stranger to you as otherwise might have been, and I trust - my dear - you will look upon me as a brother. I take it from your note at Xmas that you know some of Everard's oddities but have no doubt that a woman's ?? and society will work wonders in a short time & result in happiness for you both. Wishing you every good thing in your future married life. Special permission was needed for Edith to marry as she was under the legal age of twenty-one. Edith Veysey Macknight, nineteen, and Everard Digby, thirty-six, were married by George North Ash, at St. Augustine's Church of England in Neutral Bay, Sydney. The ceremony took place on December 10th, 1890, with the best man, the future Chief Justice of the NSW Supreme Court, William Portus Cullen. It was witnessed by Edie's siblings, Alex and May Macknight. On the back of their marriage certificate her father has written his consent. Three months later, in March 1892, Everard scribed the following poem for his bride on her 20th birthday, revealing his feelings from the time they met to the time of writing. We ever reap as we have sown. Everard ended his birthday poem extolling his blessing of home and wife. What he did not mention was that he was very soon to take on a new role, that of father, for the poem was written in the month of the birth of his first child. John Lloyd Digby was born on March 19th, 1892, at home, "Suramma", 38 Kurraba Road, Neutral Bay. His middle name reflects Everard's honouring Charlie Lloyd, who supported him through hard times in his first years in Australia, and it is known that Lucy Lloyd, his wife, was John's godmother. 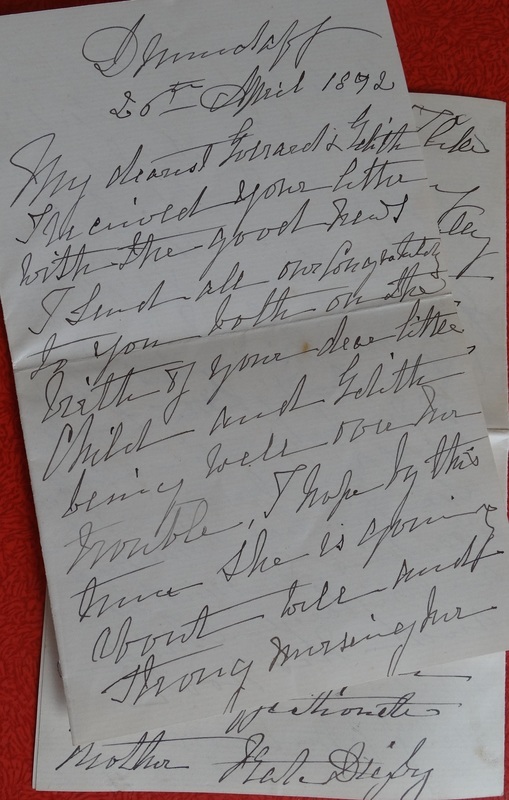 A letter from Everard's mother, Kate Digby, written on April 20th, 1892, from Drumdaff is a reminder of how hard it must have been to be so far away from her son, for she strongly felt the distance from her first grandchild. Your affectionate Mother, Kate Digby. An early photo of Suramma. The child is thought to be John Digby. Edith and Everard's children were not brought up in their father's religion, but attended Church of England schools, though neither parent seems to have been a regular worshipper in any church after they were married. Kate Digby, herself thought to be a convert to Catholicism, was deeply religious and would no doubt have been extremely troubled by the fact that her grandsons did not follow the Catholic faith. It may be that she was never privy to this fact, as she never recovered from the illness she refers to in her letter, and died only three months after John's birth, on June 6th, 1892. Everard and Edith's second son, Gerald, arrived just before Christmas, on December 21st, 1894, again at home, but history was repeating itself with sorrow hot on the heels of their joy. This time it was the death of Everard's brother, George, who had succumbed to typhus. He was buried alongside his infant brother, Thomas, and his mother in the churchyard of Aclare. A Roscommon man wrote to Gerald Digby in the 1960's of his mother's memory of the time, enclosing a transcription he wrote down. On the day your uncle, Dr George Digby died at Roscommon my mother (still hale and hearty) was attending the local national school & the schoolmaster at the time James Quinn who was a great friend of the Digby family, composed an appreciation of him and made the children commit it to memory. You must think it strange that after 63 years she could sing off the enclosed the same as the day she learned it, nevertheless it is true. Only two years later Everard lost his sister, Caroline. Like George, she died of typhus, on March 12th 1897 at the age of forty-five, having been nursed at her paternal Aunt's at Strokestown. This left Mary as the only surviving sibling in Ireland. She became very lonely at Drumdaff and finally moved out of her family home to Blackrock, a suburb of Dublin. By 1897 Everard's life had changed in many ways. He was married to a woman he adored and had two lovely little boys, yet his aspiration to make a mark in public life was still a dream, one that gnawed away at him. He could not see himself fulfilling this without money and the support of moneyed men, and had been left with a feeling that "the world is my enemy". He also lamented that the making of money had taken the place in his life of his ideals, a position he had come to with no feeling of pride. If I do not put my first and best efforts into money making I cannot maintain my family nor can I win them a good place in social life. Money alone measures a man's place in the world. Poor, he is unfit for any place or power - no matter how qualified. Rich, he is fitted for any place and position in social life...For nine hours each day I am tied to my office, like a dog on a chain...So hateful to myself is my disposition that I cannot contemplate a holiday as possible to me. I cannot get away from my familiar spirit, the yellow, cold, hard soulless disk of gold - the sovereign - which is the Devil - draining the soul 'ere the body be dead. On June 6th, 1903 Everard's sister Mary, set sail from Liverpool as a passenger on the "Afric", the only way she was to see her brother. It is said that Mary spent much of her time in Sydney trying to get Everard to return to the fold of the Catholic Church, unsuccessfully. Hers was not a long stay, for she returned to Ireland, with Edith, the two women sailing together about two months later. Edie's intent was to do the "grand tour" and visit her uncles, aunts and cousins, family she had left behind in England. At the time of his mother's departure Gerald was approaching his eleventh birthday and John had turned twelve. To take care of the boys and Everard, a Miss Corr was installed at Suramma as housekeeper. According to Everard there was no chance of any hanky-panky as, he told a friend, "he'd rather stuff an old leather portmanteau." 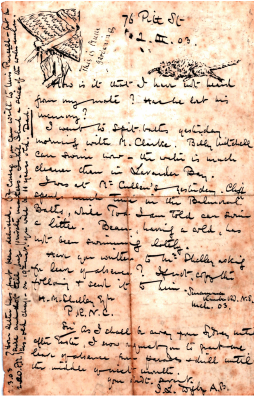 The boys letters to her are delightful accounts of their lives and activities, both with each other and their father who was a great lover of the outdoors. Everard and his friend and barrister, Edwin Brissenden, affectionately known to the family as Bindi, took the boys to the beach at weekends, usually a Sunday trip to Curl Curl, one of the northern beaches of Sydney where they swam, sunbaked and played golf on the sand, or along a bush lined river where they camped and swam. The following extracts give glimpses of Gerry's life, and of him missing his mother very much as she was away for nearly a year. They also show how much Everard, who was robbed of his father's company by his early death, was involved in the lives of his own boys. The following letter to John is one of a number of surviving letters between Everard and his sons. ...I have not had any adventures since you left. Is it true that you are to play the piano at a concert? you should play Girinod's (?) "Serenade" and "Dance of the Shadows"...I think either of them would please the audience. I have not been inventing any more stories since you left, as Beau [Gerry] has a bad cold and so I could not be in his bed in the mornings. Has your cough gone away altogether? I hope you are getting fat...Do you walk into the town? Have you found any boys to play with? Mother says she will only stay a week away - be sure and keep her a fortnight until her cough is gone. I don't think there is any more news...except to ask you the riddle. What is the difference between a washerwoman and a policeman? You can send the answer when you write to me. Dilly, as you know, flew away, but he comes back at night to have a bath in the old parrot-stand dish. 2.3.03 Your letter has just been delivered. Of course you can write to Miss Purcell - but be sure you don't tell her private matters. I wish I had a slice of watermelon. Yes, old chap, on the 19th. inst. you will be 11 years old, Dad. 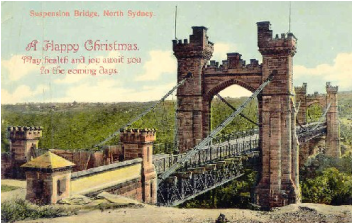 The Suspension Bridge, North Sydney which Gerald introduced Miss Corr to when they shared a picnic lunch. 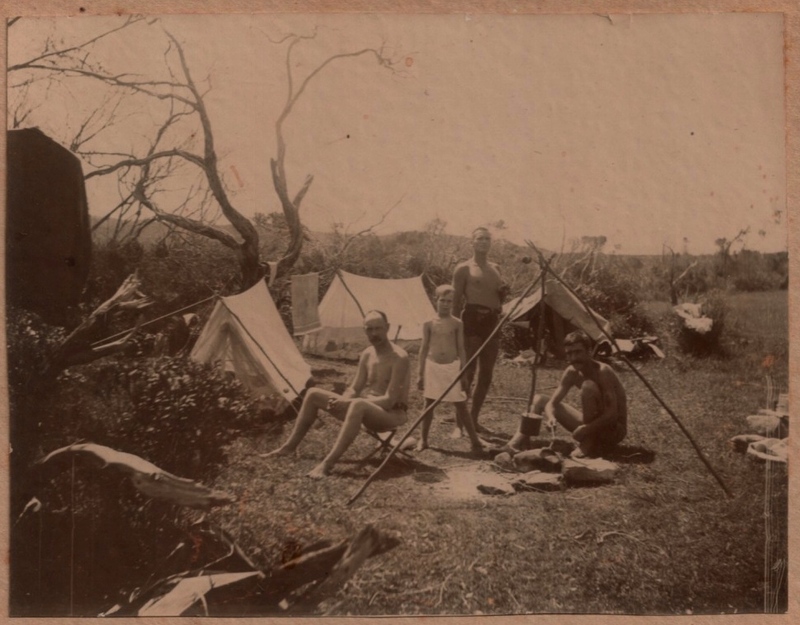 Everard, Gerry & Bindi with an unknown person, camping in the great outdoors. Everard loved nothing better than a long walk in the great outdoors. Letter writing played an important role in the lives of people at this time, never more than in those of the Digby family. Everard's letters to Jack and Gerry were often illustrated humorously, and would no doubt have been received by the boys with great delight, particularly the picture conundrums. Some delightful letters from the boys to one parent or another have survived through the years. One from Gerry to his father when he was seven is written in black ink, illustrated with lovely drawings, and signed Bo, as he was called by his parents, passing into adulthood as Beau. Everard's illustrations were often of family, this one of Edie in her gardening hat. The postcards Edie sent home traced her journey through Britain and Europe. By October she was in London and for Christmas went to Saltash in Cornwall to spend time with her married sister, May Hambly. For new year she went to Dublin to visit Everard's sister Mary, and it was this meeting with Edie that Lizzie Smyth, who wrote the wonderful memories of Drumdaff, recalled. 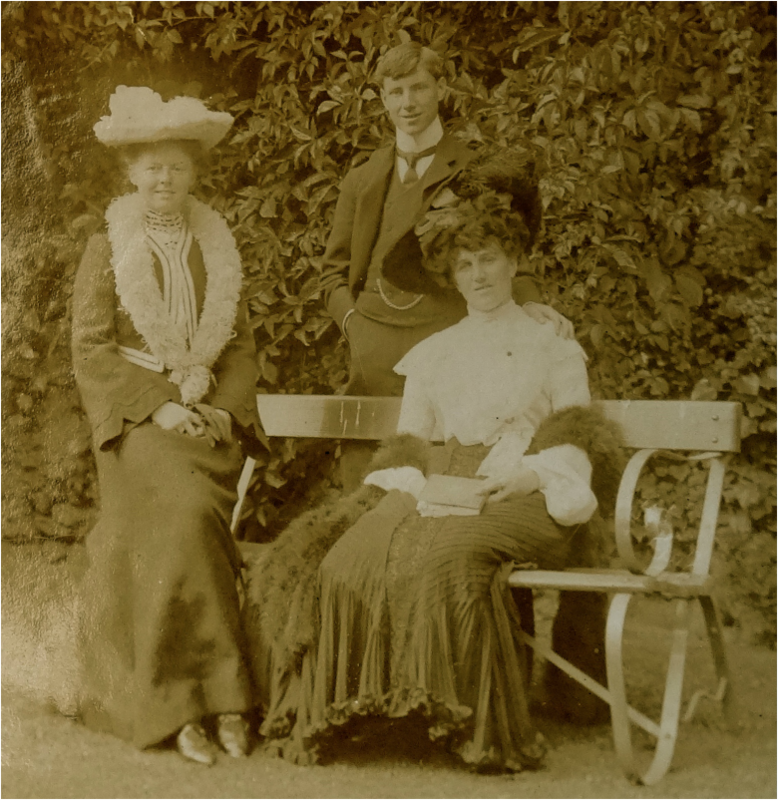 From Dublin she went to stay with her Aunt Clara Watson, her mother's sister, at Aynsebury House, Wootton, where a garden party was held for her. She also took singing lessons in London and visited her Galloway and Bowring cousins before setting off to Europe, travelling through Belgium, Germany, Switzerland, Italy and France before returning to England. She sailed from Liverpool on the S.S. "Medic" on September 27th, heading for home. Edie, back right, on her way home on the "Medic" the day after the fancy ball. An important part of Everard's life was his law practice at Ocean House in what today is Martin Place in Sydney's centre and having qualified as a resident he received the right to vote on January 22nd, 1901. With his future secure he was able to fully satisfy his love of literature. Edie shared her husband's passion for the theatre, having participated in amateur theatricals before her marriage. One such event was a fund-raiser for St Augustine's Church, held on June 26th, 1890, in which she played in a farce, Done on Both Sides. A critique written by Everard on the program shows he attended the performance, writing that "Miss Macknight...showed by her acting that she is thoroughly at home in comedy and we should like to see her in a part where she would have more scope for showing her excellent capabilities." Husband and wife attended the theatre, read and wrote stories, gardened and listened to music. Edith was a wonderful needlewoman, creating many beautiful pieces, some of which have been passed down through generations. They attended the races, visited friends and had an occasional trip to Melbourne. 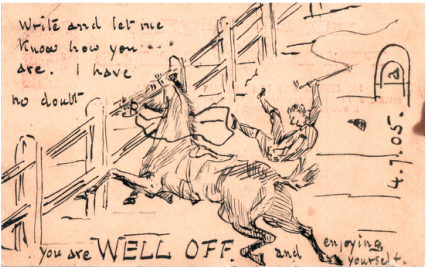 A cartoon drawing of Everard Digby by The Scot with references to his culture. Along with Edie, Everard was a member of the Dickens Fellowship, officially joining on July 1st, 1913 as member number 22433, Drafts of papers he wrote and presented have survived. They cover a range of subjects, including his observations of the dinner table, in Food and Drink of Dickens, which he presented on June 26th, 1913 and The Palates of the late Charles Dickens and William Thackeray. Cupid and Pickwick he presented in October of the same year. 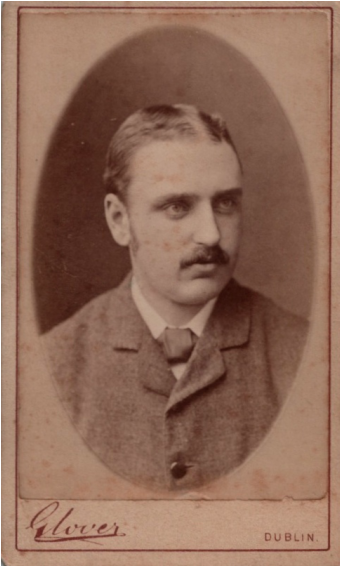 Everard was also a member of the Shakespeare Society and contributed in the same way. On May 13th, 1913 he presented a paper on The Origins of the "Merchant of Venice" in a new light, with sidelights from "King Henry IV." In June the following year his topic was Marc Antony, about which a report was printed on June 10th in the Sydney Morning Herald entitled "Julius Caesar", Interesting Shakespeare Evening, outlining talks by three members, one of whom was Everard. They were all of exceptional merit, and in the case of Mr Digby the interest was heightened by the originality of the treatment - what he termed "a scientific dissection of the character , with the microscope full upon him." 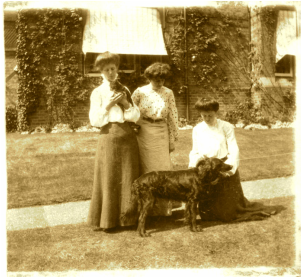 Edith was a member of the Womens' Club to whose members Everard gave a talk on November 2nd, 1911. The subject he chose was The limitations of women in the social relations and the compensative principles enjoyed by them. He wisely stated early on that "The habit of generalising...is as dangerous as the drink habit...leading to foolish and irresponsible words." He tackled the notion of equality between men and women, but warned that individual examples of women succeeding in a man's world, like Marie Curie, or women who passed as men, do not give credence to the concept of equality. He suggested that men and women are different but share the same social plane. Everard put a detailed case forward that women have limitations which differentiate them from men and if they wished to be equal to men they must be prepared to give up advantages and priveliges that women enjoy. Everard's surviving writings are many, covering a wide range of subjects that reflect an inquiring mind and a great intellect. Ireland, horse racing, the law, love, religion, history, philosophy and emigration are some of his topics. He wrote plays, lectures, poetry, personal reflections, stories and letters. Even the outbreak of war in 1914 couldn't stop his creative flow. 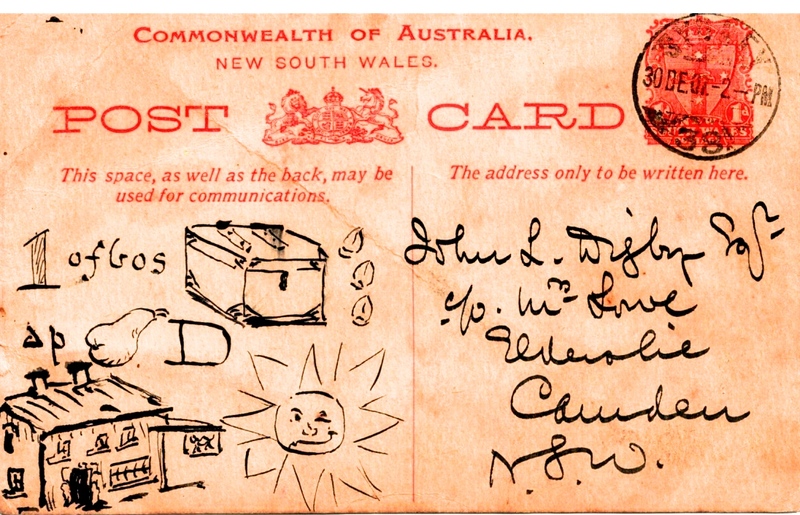 From soon after his arrival in Australia Everard involved himself in issues of the day through frequent letters to Sydney papers. He loved to have a say, though sometimes chose a pseudonym rather than his own name. He also wrote articles to publications such as the Country Gentleman's Newspaper, "The Field". In November 1900, for example, the said paper published The Sydney Hunt Club, a long article outlining a day with the hunt club, including detailed descriptions of a landscape that is no longer in existence. In 1902, in the same paper, Gillbird shooting near Sydney appeared. In it Everard writes of the dwindling number of many bird species around Sydney "caused by the greater number of guns", but that the "pleasure of the sportsman is the same. The walking, the climbing, the blue sky, the bright ocean, the brilliant flowers are the same, and the same invigorating air that makes life worth living..."